Your retina is a light-sensitive layer of tissue in the back of your eye. It converts light and images to signals which it then sends to the brain. When there is a problem with the retina, it can impede this messaging process resulting in impaired vision or blindness. Early detection of any retinal health issues is imperative to treating the conditions. 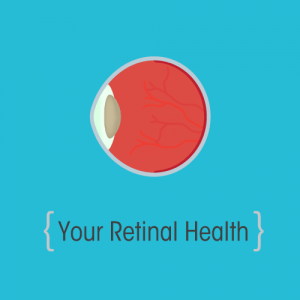 Because the retina has no nerve endings, it is possible to have damage or another health condition and not feel it. Only a comprehensive eye exam and retinal screening by your eye doctor would detect such an issue. The traditional method for viewing the retina is through dilation of the pupil. This allows your eye doctor to view your retina directly and notice if there are any abnormalities or issues that need to be further looked at. Traditional dilation allows your doctor to see approximately 15% of your retina at one time. With the new optomap® technology, your doctor now can see 82% of your retina at one time. The optomap scans your retina with an ultra-widefield view, often with no dilation necessary, and presents a digital image of your retina to your doctor. The benefits to this are that your doctor now has an almost complete view of your retina and is able to notice any abnormalities. Also, there are now digital records of your retina, and your doctor is able to compare records to note any changes. Optomap is available at all EyeCare Specialties locations. Your doctor will be able to recommend how often you should have an optomap image taken based on your lifestyle and family history.